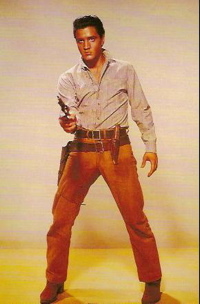 Flaming Star was the second of three serious Western films made by Elvis Presley. 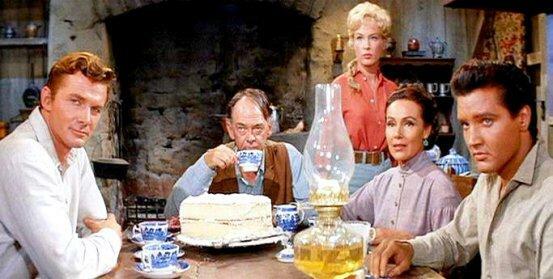 For my money, it was the best, far better than either Love Me Tender or Charro!. It was another small step forward for Elvis in his goal of becoming a serious actor. (Remember, he was only 25 years old at the time and still learning his craft.) Unfortunately, after Flaming Star, box-office conscious Hollywood would offer Elvis few future opportunities to develop his acting talent. Twentieth-Century-Fox pushed the film hard in the pages of Variety. In a full-page ad on November 2, 1960, the studio listed Flaming Star as one of their four main offerings for the upcoming Christmas season. That was followed up with a double-page ad for the film on November 16. Variety reviewed the movie in its issue of December 21, the same day that it was released nationally. Variety’s reviewer, noting that the movie appealed to a much wider audience than previous Presley films, predicted box office success for the David Weisbart production. I first saw Flaming Star on television during the summer of 1967. Due to the scarcity of Elvis songs, it had never been one of my favorite Presley movies. After many years of not viewing it, I did so recently and was pleasantly surprised that the movie’s overall impact and Elvis’s performance in it were much better than I had remembered them. 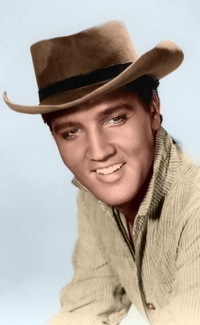 While praising Presley’s appearance, Variety was less laudable about his acting ability in Flaming Star. 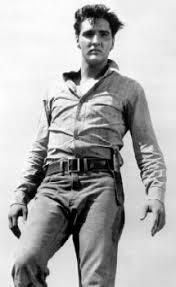 Like in his first Western, Love Me Tender, Elvis’s character dies at the end of Flaming Star. This time, though, he rides off into the hills to perish discreetly off camera. Variety’s review termed the ending “contrived,” but Weiler saw some meaning in Presley's final ride into the closing credits. “The warfare destroys all but one of the Burtons in an unhappy ending that seems to underline the sadness of the period when the Indian began to vanish,” Weiler noted. 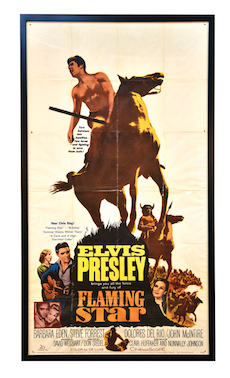 Only in his later Western, Charro!, did Elvis sing less on screen than he did in Flaming Star. As Pacer, he sang only one time, other than the title song over the opening credits. And “A Cane and a High-starched Collar” was gotten out of the way within minutes after the opening credits ended. The film than settled down into a straight, action Western the rest of the way. 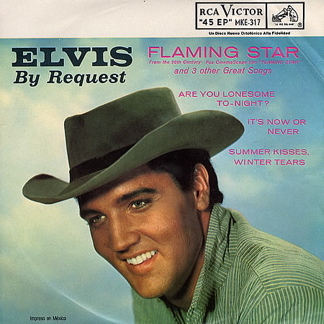 Elvis recorded two other songs that were intended for use in Flaming Star. 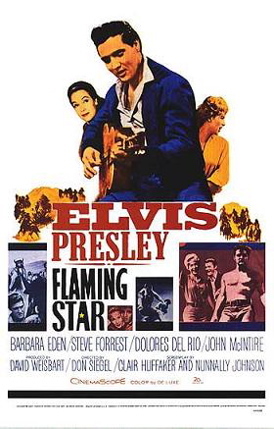 The film’s double-page ad in Variety on November 16, 1960, promised theater owners that the film would feature “Elvis singing the song his fans will love most—‘Flaming Star’—and 3 others!” Scenes with Presley singing “Britches” and “Summer Kisses, Winter Tears” were filmed, and a preview of the four-song version of the film was shown at the Academy Theater in Inglewood, California, on November 25, a month before general release. 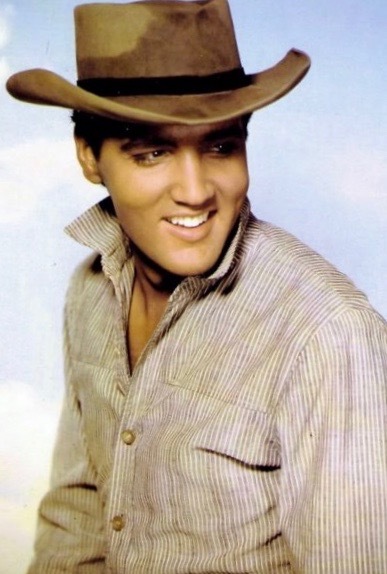 According to the “Behind the Scenes Notes” in RCA’s 1995 Double Features CD release, “Apparently, there was laughter during the ‘Summer Kisses, Winter Tears’ segment where Elvis was singing to Indians around the campfire—hence its hasty deletion!” The “Britches” scene suffered the same fate. While viewing the film’s final two-song version, it’s easy to identify where the two dropped songs were originally placed. From a dramatic point of view, pulling those two musical sequences was the right call. 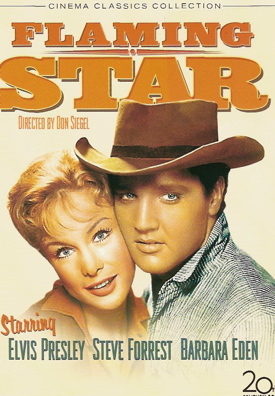 One only has to go back and observe how several Elvis singing scenes effectively chopped up the dramatic storyline of Love Me Tender to realize what similar damage Flaming Star’s narrative would have suffered with the same treatment. 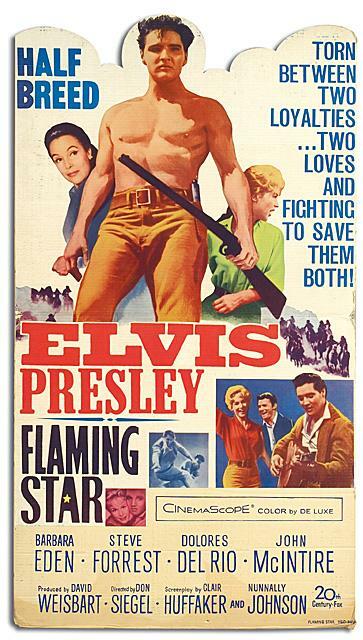 Although Flaming Star was a step forward for Elvis, in the end the film delivered a body blow to his aspirations of becoming a good actor. It opened in theaters on December 21, 1960, exactly four weeks after G.I. Blues was released on November 23. 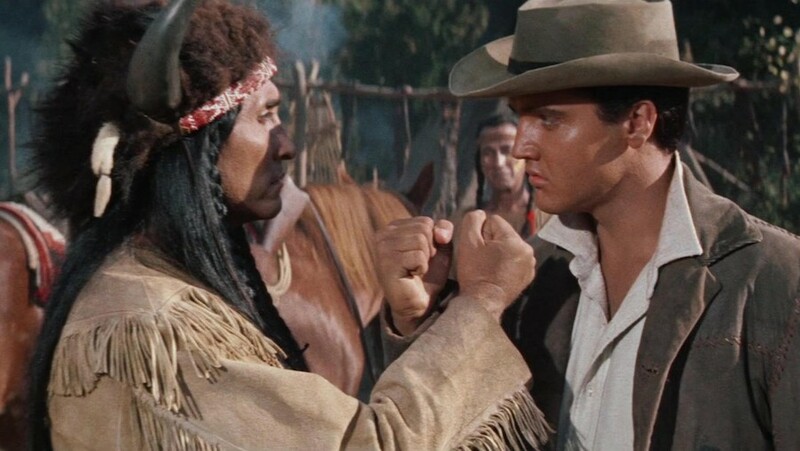 Hollywood execs, along with Colonel Parker, were able to compare side-by-side the performance of the light, song-filled comedy with that of the serious, song-sparce Western. The contrast was stark. That holiday season G.I. Blues reached as high as number two in Variety’s weekly list of top-grossing films and finished 14th in the publication’s list of annual box-office ratings. Flaming Star, by comparison, peaked at number 12 in the weekly listings and finished far down among the year’s top grossers. "Flaming Star has Indians-on-the-warpath for the youngsters, Elvis Presley for the teenagers and socio-psychological ramifications for adults who prefer a mild dose of sage in their sagebrushers."